My Fabulous Digi Blog: I'm BAAACK! Well - SO MUCH for bloggin' from Florida! I decided to just relax, and enjoy the vacation, rather than try to edit and post pictures, lol! We had a FABULOUS vacation in sunny Florida! I'll share my pictures throughout the week...but right now it is BACK TO THE RAT RACE! BLAH! 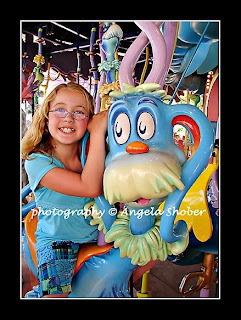 And Miss Maddie on the Caro-Seuss-el...I just *love* all the bright colors at Seuss Landing! It's really more for the younger crowd, but we had a good time anyhow. 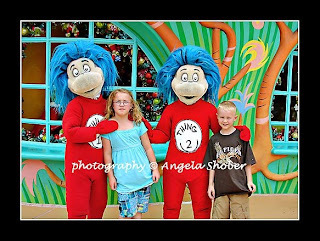 We also saw the Grinch, and the Cat in the Hat, but they each had super long lines for photos. AND we were anxious to get to our condo and check it out and hit the pool! 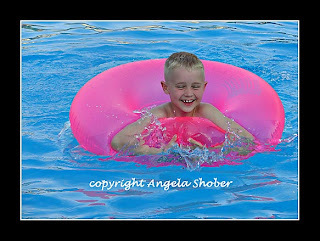 Here are my favorite pool shots from the week...the kids had a blast swimming, and we hit the pool every afternoon for a swim. A great way to cap off the day with a "beverage of choice"! Gorgeous photos. Good idea to just relax. 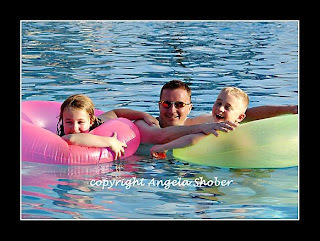 What great photos, sounds like a great family trip and lots of fun. The photos are certainly 'fab'! Love all the colors. 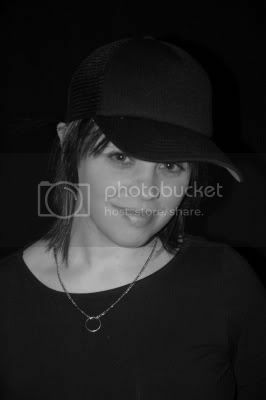 Oh, I love the photos. 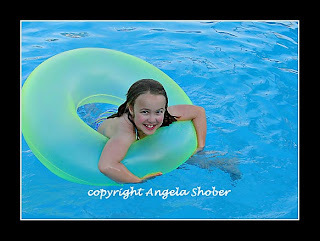 The colors are outstanding and of course, the subject matter is adorable !! :) Now, it would be nice to see a picture of Mom with those cuties ! Wow, super pictures! Looks like tons of fun!! oh i adore your last photo! what gorgeous kids and a great capture. Glad to hear you had so much fun! i'd really love to disney land one day....Kinda hard to get there from all the way over here in sydney tho. sob. Fabby!! 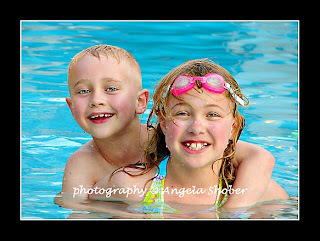 I love the pic of Wyatt on Maddie's back!! Too cute!